Despite the rise of newer channels like social media and email, many customers still prefer the immediacy and real-time interaction that’s possible with the 1:1 interaction of a phone call. According to Forrester Research, 73% of consumers have used phone support in the past 12 months. While many companies are adopting strategies and infrastructure to provide great customer service via newer channels, they are still making the investment in phone support. That’s the good news. Luckily, all of the above issues are mitigated or outright solved by taking phone support out of the silo and integrating it with other support channels. With integrated phone support, customer service teams can manage all support channels from a single, centralized support system. If agents need to switch through several systems for each support channel might, those seconds add up throughout the day, greatly hindering an agent’s overall productivity. A consolidated customer communication system solves this: now agents don’t need to switch systems when responding to different support channels. It also give them full visibility into the customer’s activities across all channels, enabling the agent to provide personalized service. Integrated phone support should include automatic ticket creation, call recording and customer history, so agents aren’t forced to manually take notes or search several systems of record for information about the customer. Everything happens automatically and exists in a single location, so agents have the context they need and the freedom to truly focus on the customer call. Plus outbound calls from existing tickets automatically update that ticket, keeping all multi-channel interactions in one place. Managers require clear visibility into their customer service health—both of individual agents and the department as a whole—to improve performance and plan for the future. This is not feasible when phone support is managed through a system separate from other support channels. Two distinct systems of record that don’t “speak” to each other—one for a call records (which only include phone and provides insights like average call time and number of calls each agent handles an hour) and a ticket record—make it impossible to gain comprehensive insights into all channels and plan accurately for the future. With integrated phone support—specifically a phone support solution that’s built into a customer support platform—IT is able to work with one trusted vendor for all support channels. Furthermore, phone support systems that integrate with other channels are typically VoIP solutions, which come with the additional benefits of reduced equipment and maintenance costs, portability and flexibility. The most important reason to adopt integrated phone support is because it’s better for customers. It allows companies to provide customers with exactly what they want: quick, consistent, personalized service. First and foremost, customers want customer service to be fast. As mentioned earlier, the seconds can really add up when agents are forced to switch back and forth between different systems to reference interactions while on the phone with a customer. Integrated phone support means agents will have ready access to that information, leading to faster service. Integrated phone support means agents don’t have to keep customers waiting or worse, put them on hold while they search for information that straddles different systems. Customers also want service from knowledgeable agents, and they want it to feel personal. When phone support lives in a silo, agents lack access to previous interactions with the customer and other context. But with integrated phone support, agents will not only know who is calling (thanks to CTI screen pops), they can also see if the customers has any outstanding tickets in other channels, previously closed tickets, purchase history, and more. All of which makes it easier for the agent to treat the customer like an individual. Look for a phone system that fits into your agents’ workflows, complementing other channels. Agents should work from a single platform, and managers should have a full-view into support operations. Seek a telephony system that is built in to the support platform, limiting need for any custom integration work and reducing the number of software vendors. For inbound calls, receiving pop-up alerts with a link to the contact’s record in your CRM puts essential information at agents’ fingertips. This is especially useful for organizations focused on customer service and support so that you can provide a personalized experience. Contact details, including custom user and organization fields, as well as full multi-channel support history, should be at the agent's' fingertips during a call for easy reference. Knowing what other issues a customer may be facing leads to faster resolution and consistent cross-channel support. It is essential that you choose something that keeps track of calls and voicemails with automatic ticket creation, eliminating the need for manual data entry. Plus, tickets can serve as a data source for quality assurance, agent training, and customer feedback. Call activity reporting with real-time performance analytics and dashboards are essential to monitor productivity. You will also want to make sure that it is easy to do historical reporting and analysis across your channels. You should have the ability to record all inbound and outbound calls made from any device associated with the system. These recordings should be easily accessible directly in the contact record and easy to share with other agents for training and quality assurance. Ensure your phone support system will route callers to the right agent or department with routing tools like IVR (interactive voice response) systems and group routing. Round robin call distribution will ensure that calls are always routed to an available agent and evenly distributed among support team members. It’s important to seek a vendor that offers the flexibility to work with the systems you have in place and doesn’t require purchasing any additional software or hardware. It should be easy to customize for your team’s specific use cases and workflows, without the help of consultants or technicians. Since agents and managers will work with this tool for many hours at a time, it’s mandatory that you choose something that’s simple to use and designed with the user in mind. 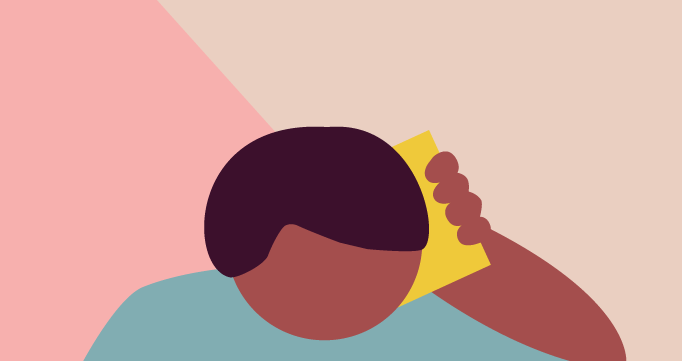 Zendesk Talk is a phone support solution built right into Zendesk, making integrated phone support easy. Learn more Zendesk Talk.